I have been waiting for weeks to show you all this picture! 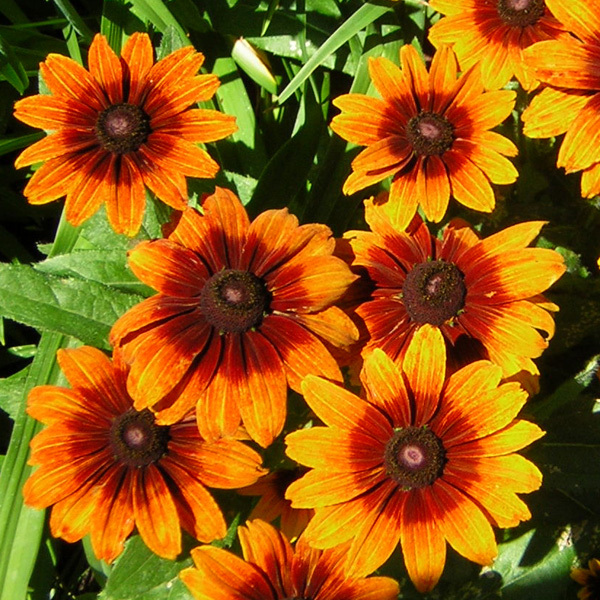 They are of a somewhat new rudbeckia, Cherokee Sunset. They made me smile inside every time I looked at them. I’m running out of adjectives to describe my daily flower dose. Today’s gift is one of my favorites.